If you're looking for space, style and a great location then La Luna will tick the boxes. Located in a quiet residential court with rear access to Morses creek and a marked walking trail to the centre of Bright, La Luna is the ideal family destination in the perfect location. 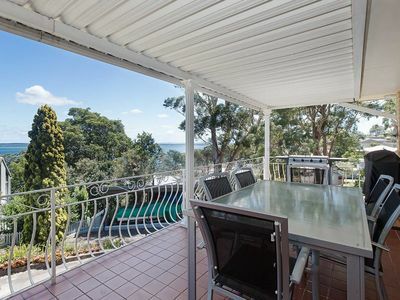 Just a 600m stroll to cafes & restaurants, you can leave the car in the garage! 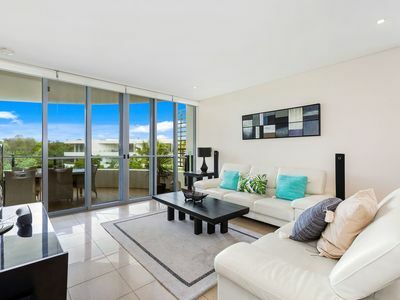 The spacious and sunny, open plan living area looks out to your fully fenced, grassed backyard. Perfect for the kids to play safely or enjoy a BBQ on the deck. Open up the back gates and find more space to run around and your path access to the centre of town! 2 dogs are welcome to join you however they must stay outside at all times. 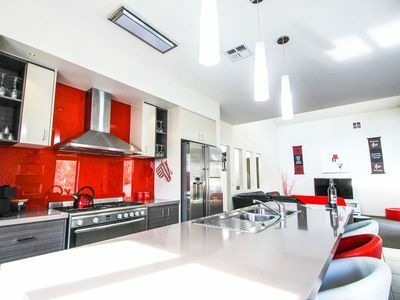 Your modern, fully equipped kitchen features a large oven with gas cooktop to cook up a feast for your tribe, or enjoy your exclusive $50 voucher for SOLE E LUNA restaurant! Just a short walk from La Luna. The spacious, open plan layout and modern appliances including pod machine make this an entertainers dream. 3 comfortable bedrooms accommodate 8 guest comfortably (or 7 adults max). All bedding & linen is supplied and ducted heating & cooling throughout means year round comfort. Your master bedroom features a comfy king bed with access to the rear deck. Your stylish ensuite with large open shower compliments your walk in wardrobe and spacious floorplan. The 2nd bedroom features a queen bed and the 3rd offers a tri-bunk with double base & single top, again all bedding & linen is included. An 8th child can sleep comfortably on a slide out trundle. Adding to the home away from home comforts of this newly built property are a full laundry with washing line access, lock-up garage with bike storage and quiet neighbourhood vibe. Park the car, unwind and enjoy the stylish comforts of La Luna! 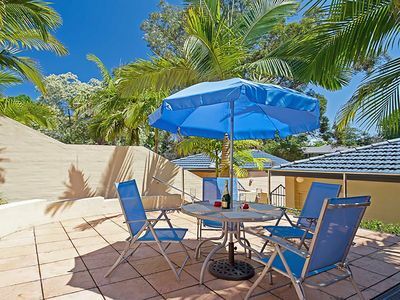 Within 7 minutes WALK from : the absolute centre of Bright! We can also help you with any little extras you would like to complete your Bright getaway. Let us arrange an in-house massage, book you a tour, help with local activities, have a yummy local hamper waiting for your arrival, whatever your heart desires! Celebrating a special occasion? We can have flowers, balloons, decorations or even gifts waiting for that special someone. Won't you win brownie points! Lazy late check-out may be available on request. Just let us know what we can do to complete your holiday. Beautiful Bright. A new destination every season! There are so many reasons why you will keep coming back to beautiful Bright. Every season is a new experience and there is something on offer for every holiday maker. Take a dip in the sparkling Ovens River, make the most of the swimming hole with water slide! Take in the fresh Alpine air with a leisurely walk along 1 of many tracks or take a more challenging mountain hike. Catch your own dinner of fresh trout (or cheat at the trout farm). Hit the slopes in winter with easy access to Mt Hotham, Falls Creek AND Mt Buffalo. Take a tour of the award winning local wineries & breweries or enjoy a leisurely lunch in the sunshine. Take to the skies in a micro-light or try paragliding for the more adventurous! Get involved in the many festivals & special events held throughout the year. Lose the kids in the 'Wandi Maze', living hedge maze & cafe. Enjoy local produce & quality dining at chef's hat restaurants & award winning cafes. Get on 2 wheels on the 'Rail Trail' or challenge yourself with mountainous road ascents & exhilarating downhill tracks. Explore the region along the Great Alpine Road - Beechworth, Yackandandah, King Valley, Milawa and the rest! You get the idea, we could go on & on but best you come and find out for yourself! Quality dog friendly accommodation for couples! Your furry friend, who is also welcome under strict yet standard conditions, will love the walks along the river and around the gorgeous parks. Dogs are welcome to stay in the yard but they are NOT allowed in the house under any circumstances. The rear yard is grassed and securely fenced. You will have the entire place to yourselves however bedroom access is determined by guest numbers. Base rates provided are for 2 guests. Extra guests will attract extra charges. *Please check with us though if a booking gap applies or if the dates are approaching!